Visiting North Creek area with the kiddos? 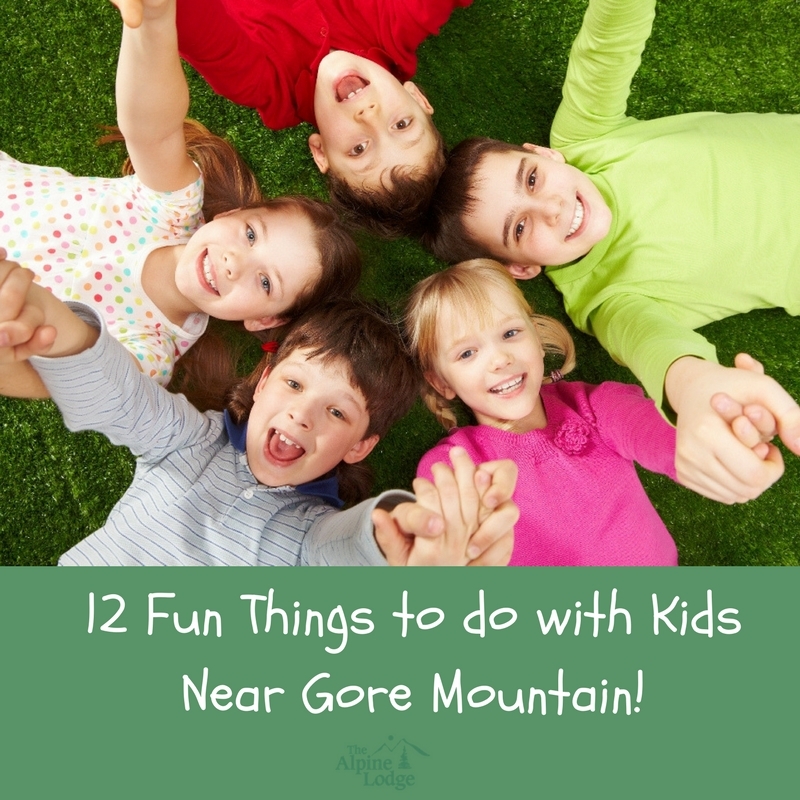 Looking for fun things to do with your kids near Gore Mountain? Our area is a popular winter resort town known for its premier skiing and hiking, but it also offers year-round family fun activities! With Gore Mountain nearby and beautiful Lake George recently voted “best lake in America” by Oyster.com, the area is a popular place to come enjoy the scenery and have some fun with the family. Browse our top 12 fun things to do with kids near North Creek, NY, then start planning your adventure today! 1. Head on over to the Wild Center in Tupper Lake where you can spend the afternoon exploring wildlife exhibits and roam around the nature trails. Wander up a trail of bridges to the treetops of the Adirondack forest and let the kids explore a four-story high twig tree house! 2. 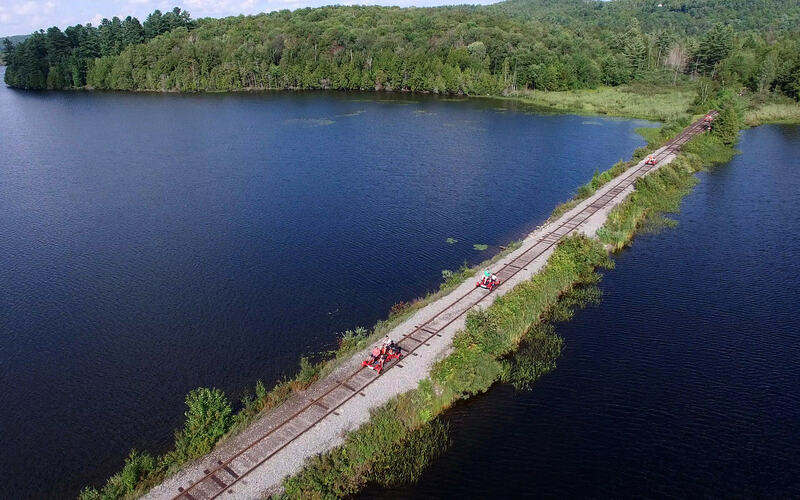 Spend the afternoon exploring an Adirondack lake on an open air, foot powered rail bike! 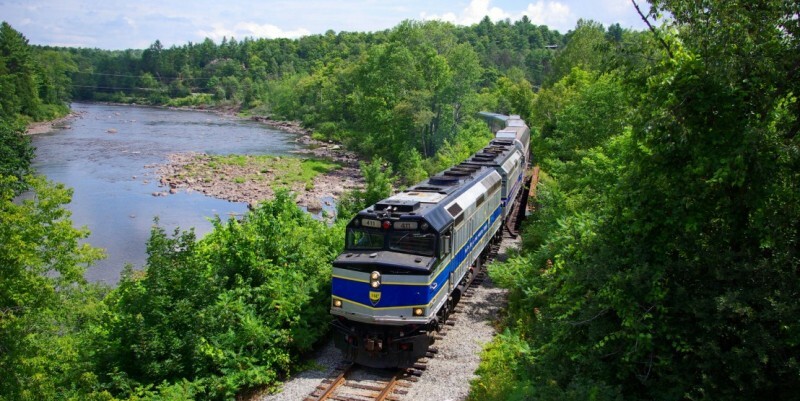 Rail Explorers offers fun for kids of all ages as they ride along train tracks around the length of Tupper Lake. What a unique way to soak in the beautiful nature scenery from above! 3. Adventure seekers and outdoor enthusiasts can enjoy a fun day white water kayaking or rafting with North Creek Rafting Company! The company offers day trips and overnight trips that offer adrenaline rushes to entertain even the biggest outdoor enthusiasts. 4. Take a ride on the Saratoga & North Creek Railway! Enjoy a unique view like no other of the Hudson River and the Adirondack. 5. 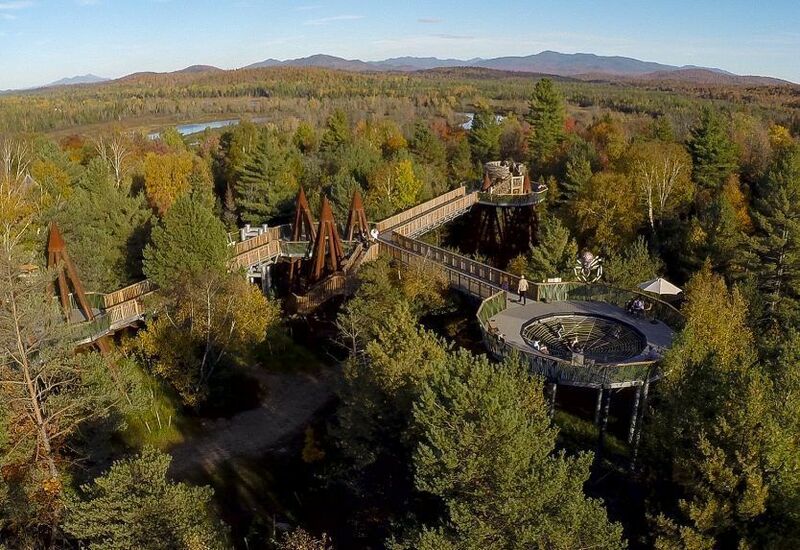 Kids of all ages will have the time of their life at the largest aerial tree top adventure park in the Adirondacks. 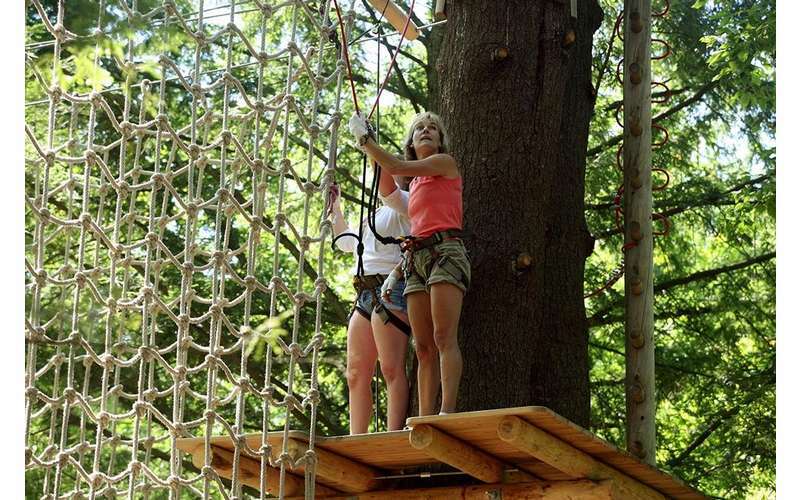 At the Adirondack Extreme Adventure Course, visitors enjoy thrilling adventures of climbing walls, rope courses, zip lines, and rope swings over 1.5 miles long. Nothing quite compares to the heart pumping, adrenaline rush this course provides! 6. Up Yonda Farm Environmental Education Center in the Adirondacks offers 73 acres of natural history programs, environmental education exhibits, and wildlife viewings. Kids can tour the museum, hike the woodland trails, or even catch a glimpse of beautiful butterflies in the butterfly garden. 7. Looking for an adrenaline rush on the water? Chic’s Marina Boat Rentals offers a wide selection of wave runner and jet ski rental on Lake George! 8. Rent a pontoon boat and enjoy a fun filled day out on the lake! Our friends at EZ-Marine and Storage offer rentals available by day, the week or month. 9. Of course, zipping down the snowy slopes of Gore Mountain had to make this list! 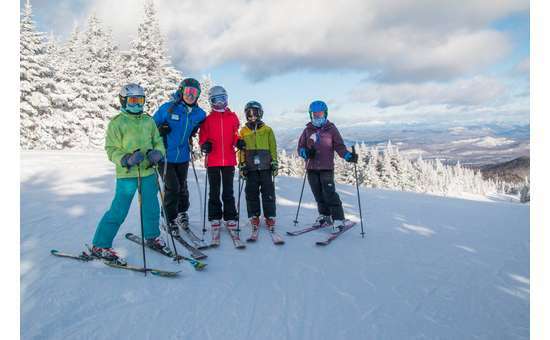 One of the premier family ski resort in upstate New York, Gore Mountain boasts 109 trails (2,537 vertical ft), 14 lifts, and six on-mountain dining options that provide a full day of family fun like no other. 10. Is it getting hot out there? Hit up the beach! Rogers Memorial Park is a short drive away and offers access to a beach for swimming, tennis courts, a playground and a picnic area with grills to get your summer time BBQ’ing on. 11. Test out your mini golfing skills. Gooney Golf in Lake George provides a golfing experience that includes both themed holes and cartoon characters. 12. From thrilling coasters to water rides for the kids, Six Flags Great Escape & Splashwater Kingdom offers a fun filled day of adventure for the whole family! 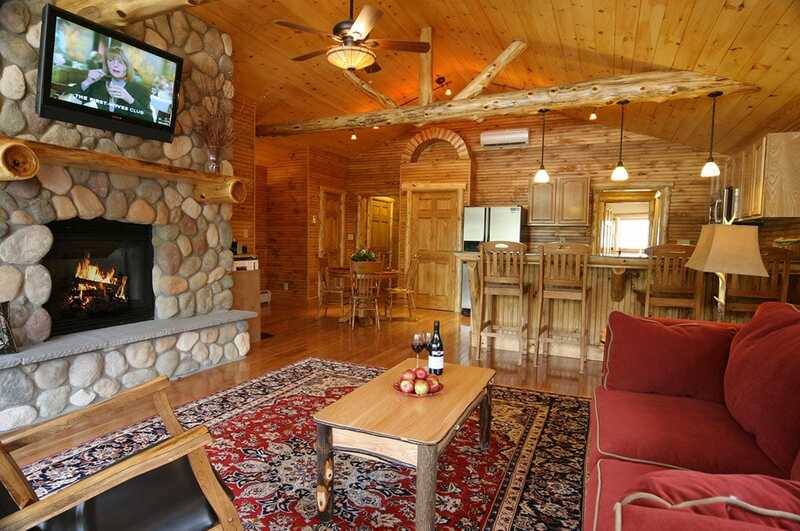 Thinking about planning a family vacation near Gore Mountain in the Adirondacks? The Alpine Lodge hotel near Gore Mountain offers beautiful Adirondack lodging near all the best attractions in Upstate NY! Enjoy cozy, beautifully furnished rooms and suites minutes away from Gore Mountain. Browse our rooms, then book your Gore Mountain family vacation today!